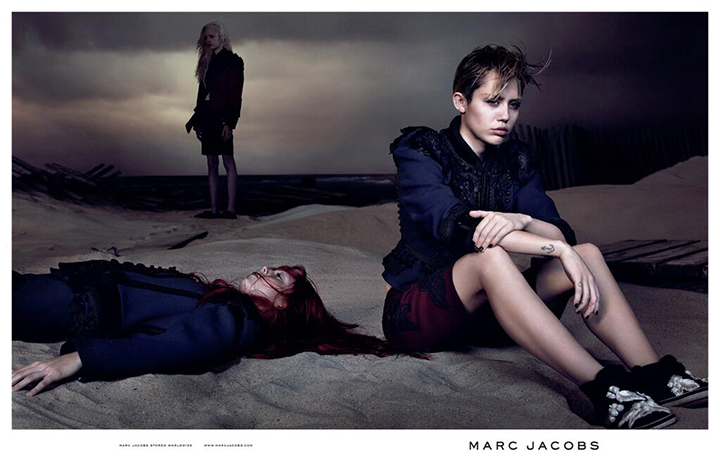 The 21-year-old the controversial pop star Miley Cyrus is new face for Marc Jacobs Spring/Summer 2014 campaign. She wears a navy blue ruffled jacket, burgundy shorts, and black and silver sneakers while sitting amongst a shipwreck-style scene, reminiscent of Jacobs’s last runway show set. 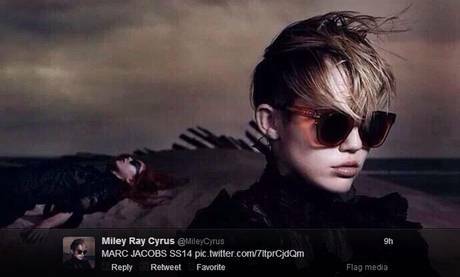 “I work a lot with Marc Jacobs. He kind of brought me into fashion like when I was 16, that’s when I started being around him and just learning from him,”she said. Cyrus posed naked for one of Jacobs’ skin cancer awareness t-shirts, and champions the Marc by Marc Jacobs gay marriage t-shirt.